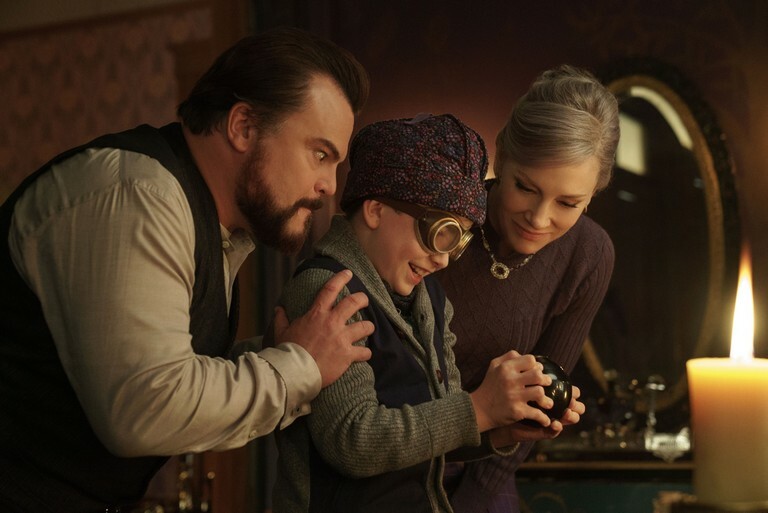 The magical adventure tells the spine-tingling tale of 10-year-old Lewis Barnavelt (Owen Vaccaro of ‘Daddy’s Home’, ‘Mother’s Day’) who goes to live with his eccentric uncle in a creaky old house with a mysterious tick-tocking heart. But his new town’s sleepy façade jolts to life with a secret world of warlocks and witches when Lewis accidentally awakens the dead. He’s not sure which is more astonishing: the wondrous, sprawling house…or his oddball Uncle Johnathan and Jonathan’s best friend, verbal sparring partner and neighbor Mrs. Zimmerman (Blanchett). If adjusting to a new school and new friends weren’t enough to deal with in this unexpected suburban life, Lewis’ entire world turns upside down when he discovers Uncle Jonathan and Mrs. Zimmerman are both powerful practitioners of the magic arts. Lewis is now caught up in something equally wild with a warlock and a witch — who are on a secret mission to discover the source and the meaning of a foreboding ticking doomsday clock…hidden away somewhere within the house’s walls. All of this, plus deadly curses, attacking jack-o’-lanterns, endless hours of homework, and an evil wizard who has returned from the grave? Lewis’ new life is more than enough for any clever and cunning 10-year-old to juggle. As a lost orphan transforms into one of the world’s most powerful young wizards, he won’t only have the adventure of a lifetime; he’ll help heal two very broken people and allow them to rediscover their magic. Based on the first volume in the beloved children’s series of books written by John Bellairs and illustrated by Edward Gorey, The House with a Clock in Its Walls is directed by master frightener Eli Roth and written by Eric Kripke (creator of TV’s ‘Supernatural’). Based on the beloved children’s classic written by John Bellairs and illustrated by Edward Gorey, is directed by master frightener Eli Roth and written by Eric Kripke (creator of TV’s ‘Supernatural’).